When the final results came in, our Warsteiner Fresh 0.0% was a silver medalist! Showcasing the superior quality of this refreshing non-alcoholic beer, we recently entered Warsteiner Fresh 0.0% in the prestigious International Beer Challenge – a UK-based competition that rewards and promotes excellent beers from around the globe. It’s a tough challenge, and our Warsteiner Fresh 0.0% was competing against entries from over 30 countries – from established brews to emerging craft beers. Presented to a diverse panel of judges including retailers, brewers, members of the press, taste analysts as well as professional beer experts, the contenders were scrutinized in every way possible. 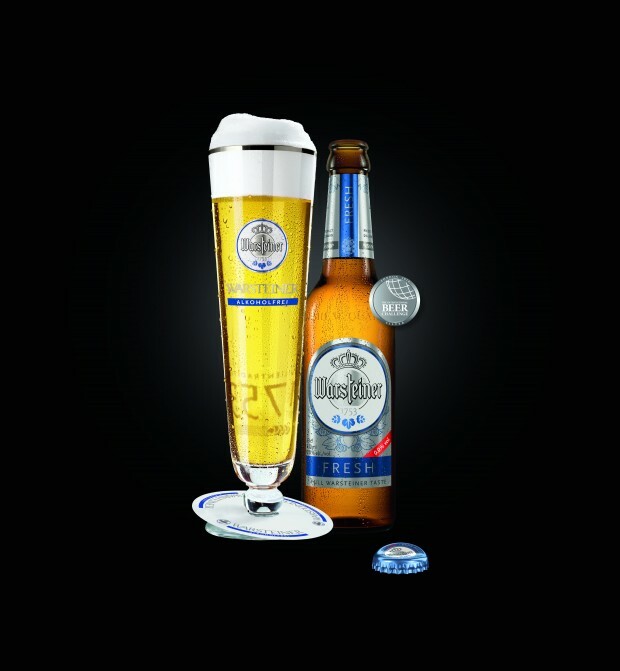 In the end, the panel awarded Warsteiner Fresh 0.0% a silver medal as an outstanding pilsener style beer. But not just the judges at the IBC are applauding the exceptional quality of this genuine German beer with zero percent alcohol. Brewed with meticulous care and top- quality ingredients like Hallertau hops, the finest summer barley malt and uniquely soft brewing water, our Warsteiner Fresh 0.0% is enjoying ever growing popularity among beer fans around the world. Its gentle dealcoholization takes place via vacuum distillation at low temperatures, preserving its full-bodied Warsteiner premium beer taste! If you haven’t yet savored our Warsteiner Fresh 0.0%, give this award-winning, non-alcoholic beer a try and enjoy a truly authentic pilsener experience fit for any occasion! Cheers Warsteiner!